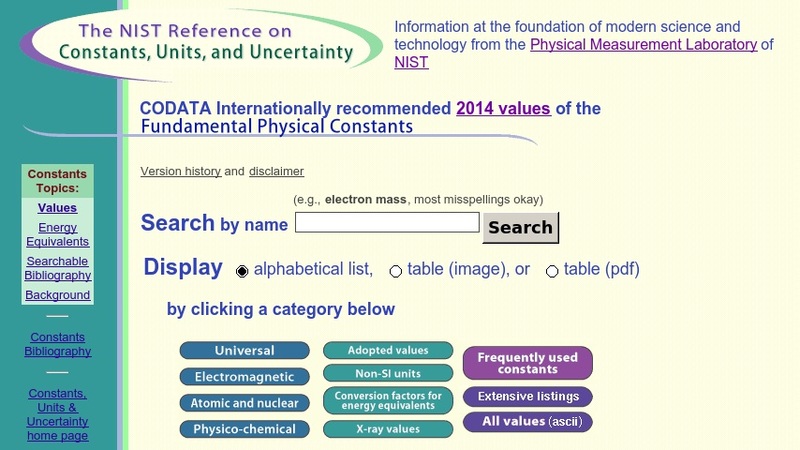 Values of the fundamental physical constants, recommended for international use, are provided at this web site developed and maintained by the National Institute of Standards and Technology (NIST). These are the latest values of the constants recommended by CODATA (updated in 2006). Included are values for universal, electromagnetic, and atomic/nuclear constants, as well as non-SI units and conversion factors for energy equivalents. Users may also view background information related to constants, a searchable bibliography, and correlation coefficients between any pair of constants.